Home » A-to-Z » A to Z Apr 2015: All About Blogging! After many jumps from "No" - "Yes" - "No" - "Maybe" - "No" - "Should I?" - "Yes" - "No" - "I Should" - "No" - "Oh Come On!"... 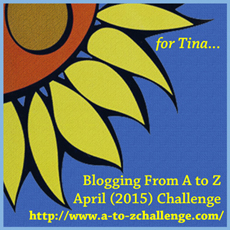 I'm finally attempting the A to Z Blogging Challenge for the very first time! Those of you who don't know what this is about, please refer to the post linked in this paragraph. I have decided to go with a theme this year. Since this will be my first attempt at this challenge, and also since April will be a busy month at my store as new sessions will start in schools, I've decided to pick an easy theme to write on. I have decided to write on "Blogging". Yup. I figured I'm so passionate about blogging that this would be the easiest theme for me to write on this time. I'm hoping this round of A to Z Blogging Challenge will help me get back into my blogging form after my last "disappearing act" here. "2015 A-to-Z: All About Blogging"
I have finally updated and compiled the series as an ebook. It is now available for purchase on Kindle. Venice !!! I've been looking for your blog! The one I'm subscribed to doesn't have any A to Z posts! Congrats on completing the challenge. certainly you would have let us down if you had quit. Send us links to your e-book. 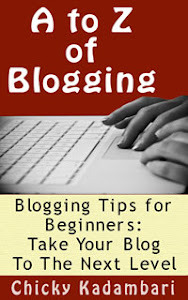 Yes, the posts are well written and got information about blogging. It was a unique theme to choose. Congrats again for GOOD JOB!!!! KADDU!!!! Yeah, I'll email you the ebook directly. Let me know if you'd like to review my book on this A to Z series. I'll send you a copy.